With Fathers Day just around the corner, now is the perfect time to organise a family portrait with a Fathers Day portrait photography gift voucher. Portrait gift vouchers are available for family portrait sessions and can be purchased online. Do you want to make this Fathers Day extra special? 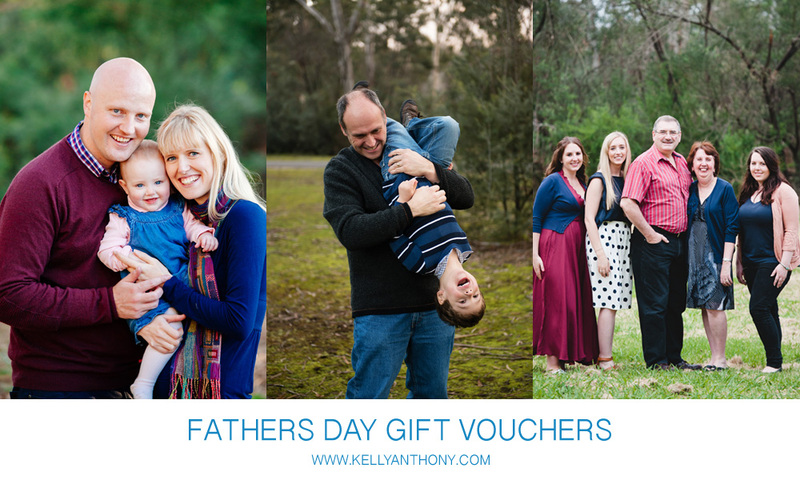 Then give a gift that will create lasting memories with a portrait photography gift voucher from Kelly Anthony Photography. Our fun, relaxed and natural portrait photography sessions will capture moments of your family for you to cherish every day. All vouchers will be personalised with your chosen message, and provided electronically for fast, prompt delivery and are valid for one year from the time of purchase. Check out some of our family portrait sessions on our blog.